Why don't we eat more vegetables? Because most of us don't cook to bring out their secrets! Everyone will enjoy eating more vegetables if they are prepared and seasoned for success! 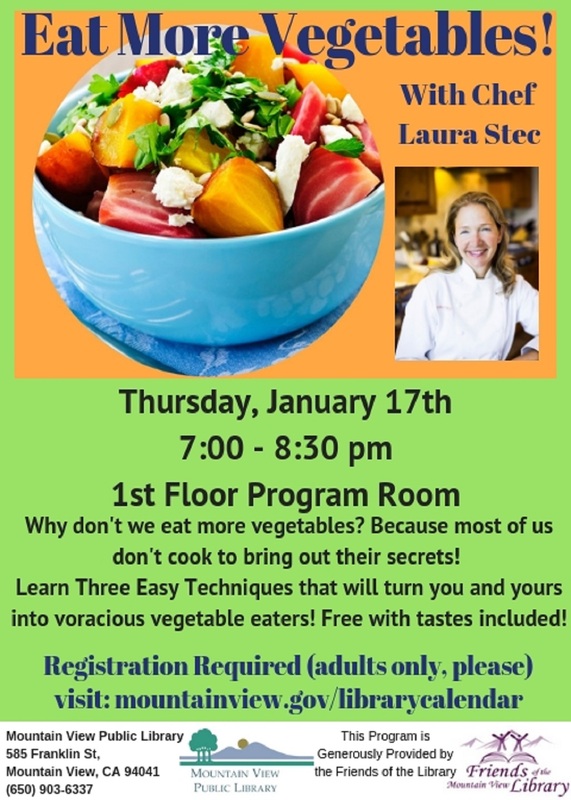 Topics include: Why to keep water as far away from vegetables as possible, the energetics of foods, shopping and storage, and Three Easy Techniques that will turn you and yours into voracious vegetable eaters! Free with tastes included! Laura Stec is a chef & educator with Laura Stec - Innovative Cuisine. She is the author of Cool Cuisine - Taking the Bite Out of Global Warming and blogger for Embarcadero Media’s The Food Party! Registration is required for this event. Adults only, please.